Pharmacologists have discovered a mechanism that triggers Cotard’s syndrome – the mysterious condition that leaves people feeling like they, or parts of their body, no longer exist. With the ability to switch the so-called walking corpse syndrome on and off comes the prospect of new insights into consciousness. Turns out there are a few reports (abstracts below) that the antiviral aciclovir/acyclovir (administered IV) can induce neuropsychiatric symptoms (something we have modeled using the antiviral interferon alpha). Adverse neuropsychiatric symptoms sometimes happen with the antimalarial lariam also. Perhaps these effects are better routes for devising better preclinical models of neuropsychiatric disorder than many of the other models that are available – many of which, frankly, are not that good. J Antimicrob Chemother. 2006 May;57(5):945-9. Epub 2006 Mar 15. The aciclovir metabolite CMMG is detectable in the CSF of subjects with neuropsychiatric symptoms during aciclovir and valaciclovir treatment. 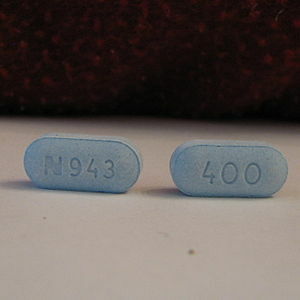 Helldén A, Lycke J, Vander T, Svensson JO, Odar-Cederlöf I, Ståhle L.
Neuropsychiatric symptoms related to aciclovir or valaciclovir treatment have been a problem since aciclovir was introduced in the early 1980s. We have previously found that subjects with aciclovir-related neuropsychiatric symptoms have increased serum concentrations of aciclovir’s main metabolite, 9-carboxymethoxymethylguanine (CMMG). The aim of this study was to investigate whether CMMG was present in the CSF of aciclovir- or valaciclovir-treated subjects with or without neuropsychiatric side effects that appeared during therapy. We investigated retrospectively CSF collected from 21 aciclovir- or valaciclovir-treated subjects. Of these, 9 were subjects with neuropsychiatric signs and symptoms and 12 were asymptomatic subjects, including 10 subjects from a valaciclovir multiple sclerosis trial and 2 subjects with recurrent herpes encephalitis. CMMG could only be detected in the CSF of subjects with neuropsychiatric symptoms and signs (median CMMG concentration 1.0 micromol/L, range 0.6-7.0). The concentration of CMMG was below the limit of quantification (<0.5 micromol/L) in asymptomatic subjects (P < 0.001). All patients with neuropsychiatric signs and symptoms, except one, had acute renal function impairment or chronic renal failure. These results are consistent with the hypothesis that CMMG is involved in the development of neuropsychiatric side effects in aciclovir- or valaciclovir-treated patients. Measurement of CMMG in CSF and/or serum is a promising tool in the diagnostic procedure for aciclovir- or valaciclovir-treated patients with neuropsychiatric symptoms and may help to differentiate between side effects and herpes encephalitis. Nephrol Dial Transplant. 2003 Jun;18(6):1135-41. High serum concentrations of the acyclovir main metabolite 9-carboxymethoxymethylguanine in renal failure patients with acyclovir-related neuropsychiatric side effects: an observational study. Helldén A, Odar-Cederlöf I, Diener P, Barkholt L, Medin C, Svensson JO, Säwe J, Ståhle L.
Acyclovir (ACV) has been used for over two decades to treat herpes virus infections. Serious neurological adverse side effects have occurred during ACV treatment in patients with renal failure, but the cause of the symptoms remains unknown. We hypothesized that increased concentrations of the ACV main metabolite 9-carboxymethoxymethylguanine (CMMG) correlated to these symptoms. We conducted an observational study from 1991 to mid 1999 based on samples sent for analysis of ACV concentration from various hospital departments in Sweden. Patients with neuropsychiatric symptoms (NS+, n=49) were compared with patients without symptoms (NS-, n=44). ACV and CMMG concentrations were analysed by HPLC. Medical records were analysed for symptoms and compared with pertinent cases identified from Medline. The serum CMMG levels were significantly higher in the NS+ group (mean=34.1 micro mol/l, 95% confidence interval 23.4-46.1) compared with the NS- group (mean=4.7 micro mol/l, 95% confidence interval 3.3-6.6; P<0.001). CMMG was the strongest predictor in a receiver-operating characteristics curve analysis (ROC), based on 77 patients, of ACV-related neuropsychiatric symptoms. The ROC curve for CMMG demonstrated that neuropsychiatric symptoms could be predicted with a sensitivity of 91% and a specificity of 93% with the use of a cut-off value of 10.8 micro mol/l of CMMG. Thirty-five of 49 patients in the NS+ group showed levels exceeding this concentration compared with only three of 44 of patients in the NS- group (P<0.001). ACV exposure, ACV concentration, creatinine clearance and creatinine concentration were weaker but statistically significant predictors. Haemodialysis reduced CMMG and ACV levels and relieved the symptoms. The determination of CMMG levels in serum may be a useful tool in supporting the diagnosis of ACV-associated neuropsychiatric symptoms. Furthermore, the monitoring of CMMG levels may prevent the emergence of symptoms. Why the lack of spending on neuroscience? A comparison with cancer research spending, and a neologism ('malbrain').